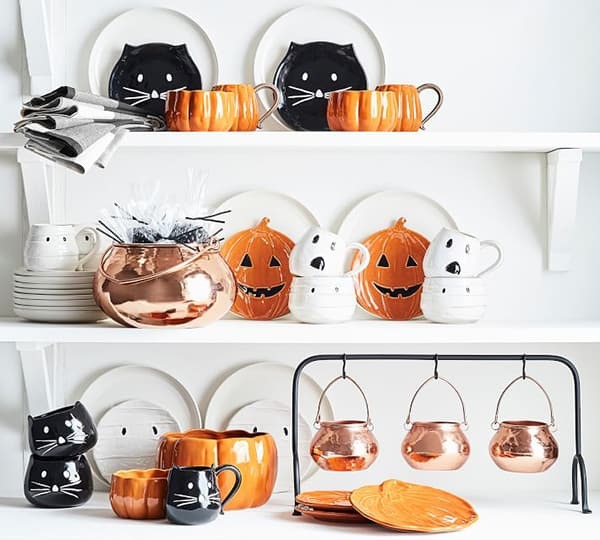 Our charming guide to our favorite Halloween decor and entertaining items! The end of September can only mean one thing… HOLIDAYS! 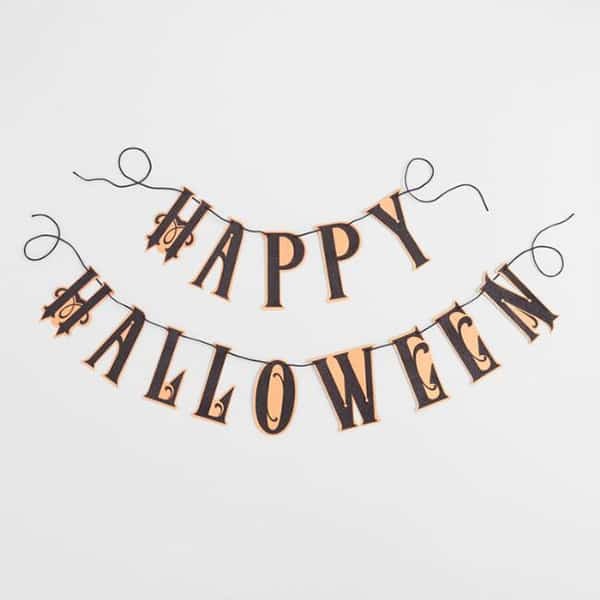 It’s time to find all of the charming Halloween entertaining items and Halloween party decorations to make your home and party festive! We don’t often share where we find our Halloween decor, but there are a few gems we like to explore. You can always score great things from stores like Williams-Sonoma, Target, Joann Fabrics, Pottery Barn, World Market and Home Goods. We even set up an entire Halloween Bar using items from Savers Thrift Store! 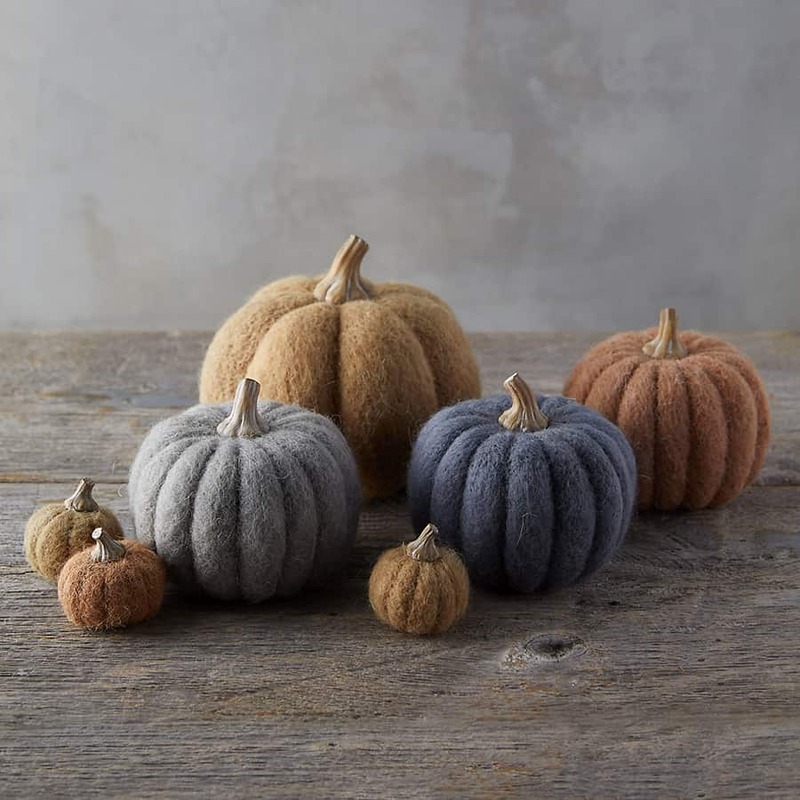 We’re sharing a few of our favorite Halloween entertaining items and party items below. For the most part, we’re drawn to charmingly “spooky” Halloween decorations rather than scary spooky. 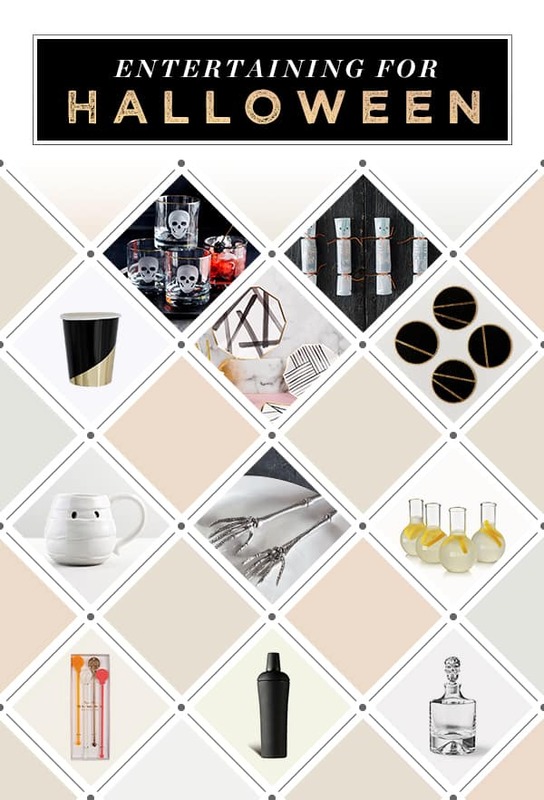 Also a mix of classic, yet modern and fun products. We chose items that add just the right amount of spookiness, but will not make babies or toddlers gasp! 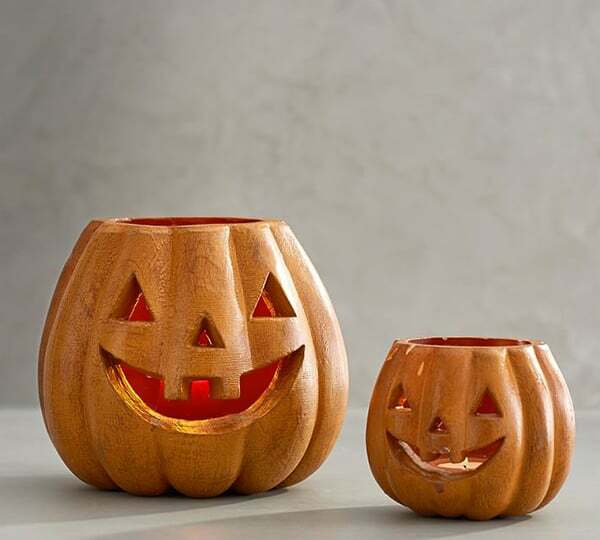 Like these Jack O’ Lantern Luminaries are perfect for setting a not-so-scary atmosphere. Have you ever watched a Halloween movie with a pumpkin flickering on a table? It’s the coziest feeling! We use battery-operated lights for these. 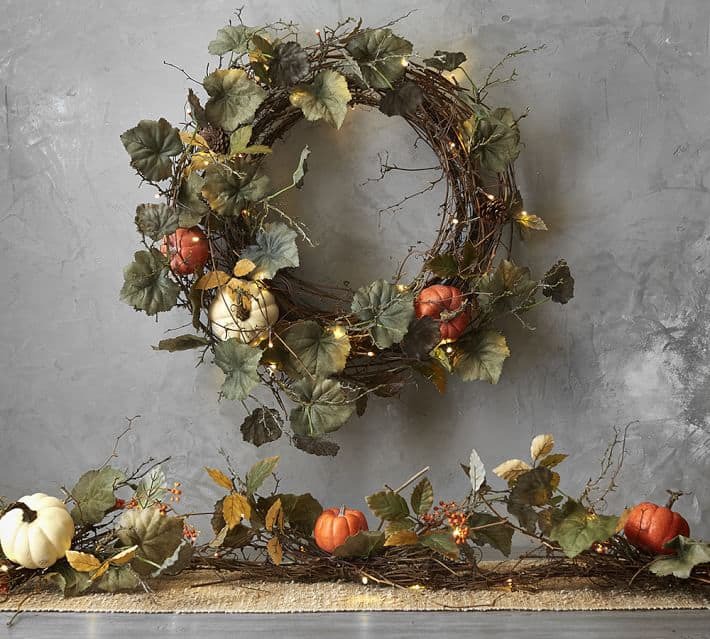 A fall or holiday wreath is a must starting in September and there is no exception for Halloween! This one from Pottery Barn is spooky green, but still so charming. 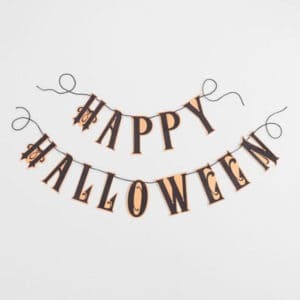 We always have a Happy Halloween garland hanging over the mantel. It’s instant decor and makes it feel like a party! We love this one from World Market but also adore this one for kids too. 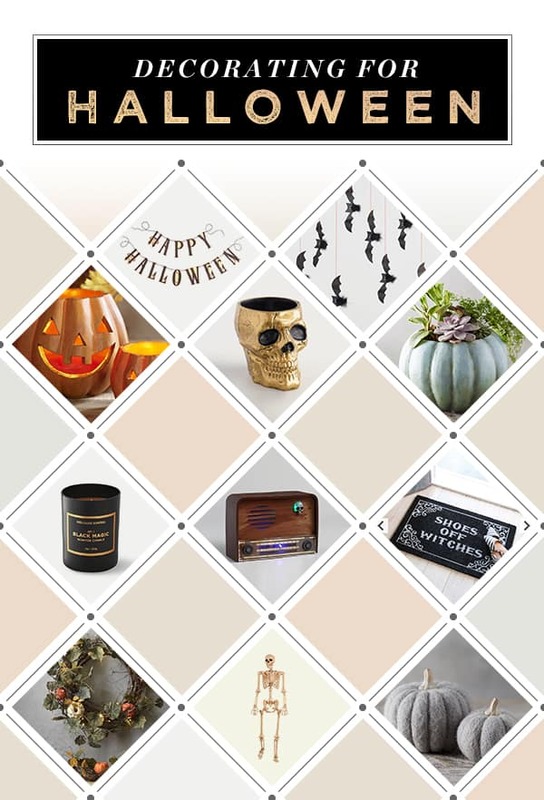 Shop Terrain continues to be an inspiration for classy Halloween decor. 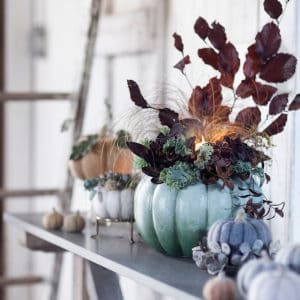 These pumpkin pots are beautiful for indoor or outdoor! Get creative! Make a floral arrangement in them or fill them with candy. Similar to the pumpkin pots, but a little spookier is this skull vase. 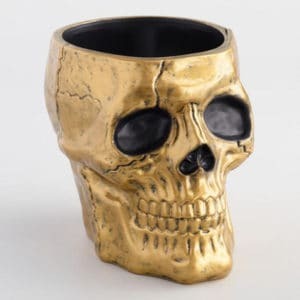 You can fill it with flowers or succulents too for a charmingly spooky centerpiece. Felt pumpkins will add warmth for more a rustic and natural Halloween vibe. They’re borderline fall, but who cares! Pumpkins are Halloween too! 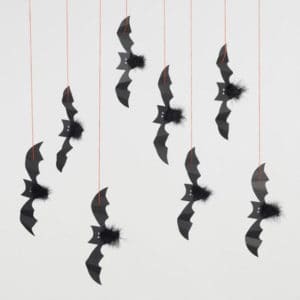 Oddly enough, paper bats look really good and kind of chic (if you can call Halloween chic!) when hung from the ceiling or attached to the wall. You can see an example of how it looks from our Halloween movie night. You can also make your own using Martha Stewart’s template and black construction paper. Another item on our Halloween decorating board is this beautiful candle. A candle for every season is a must and this Black Magic one from Williams Sonoma is perfect for Halloween. Also, every year, these tall skeletons make it back to our place. We usually get them at Joann’s using a 50% off coupon. They’re great for outside or inside and it’s about as spooky as we get. But having one sitting in a chair or hiding in a bush is kind of fun. And thought this radio that plays Halloween sounds was pretty cool! 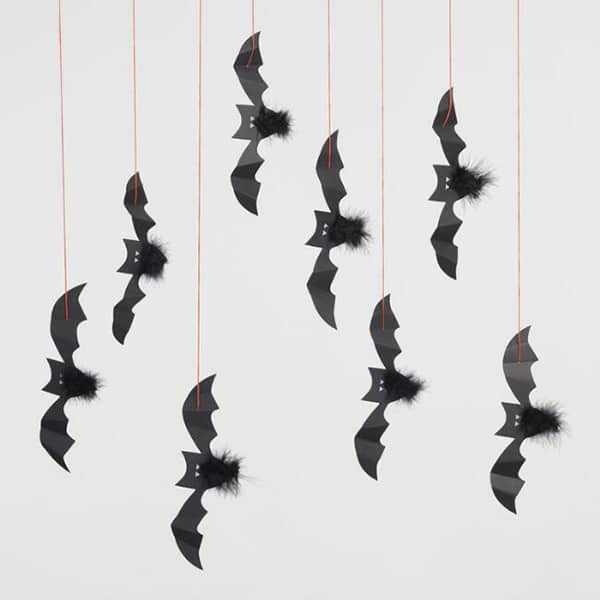 Now moving onto a few items we love for entertaining for Halloween! There truly are hundreds of entertaining items we love for Halloween, but we’ve narrowed down a few of our favorites and why we love them! Remember, most of these items you can reuse every year creating traditions! Obviously the disposable stuff you can’t, but the benefit of using that decor is easy cleanup! Party crackers are classic and have been around for many generations! They always look cute on a table setting and add a little festive touch. 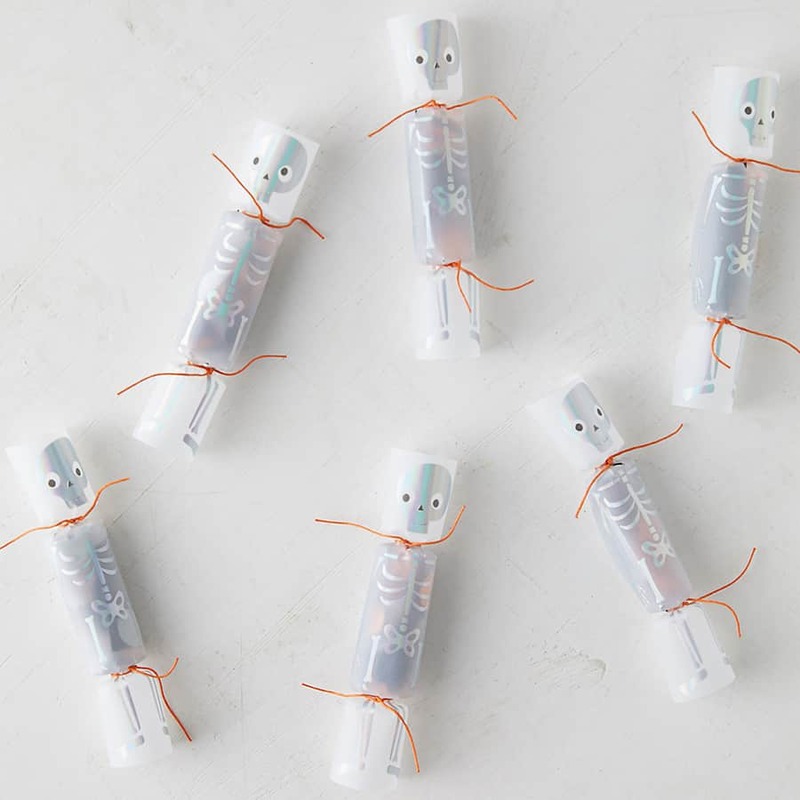 These mummy ones are very charming! This collection is adorable! I look at it and it screams TRADITIONS! How perfect to sip a warm cup of hot cocoa and nibble on Halloween cookies! 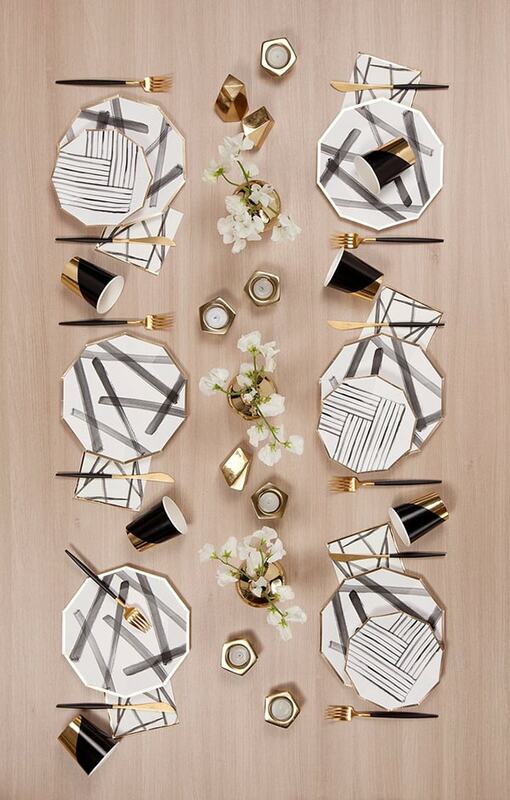 For a Halloween party, Harlow & Grey keep it chic with really beautifully modern paper plates, napkins and cups. 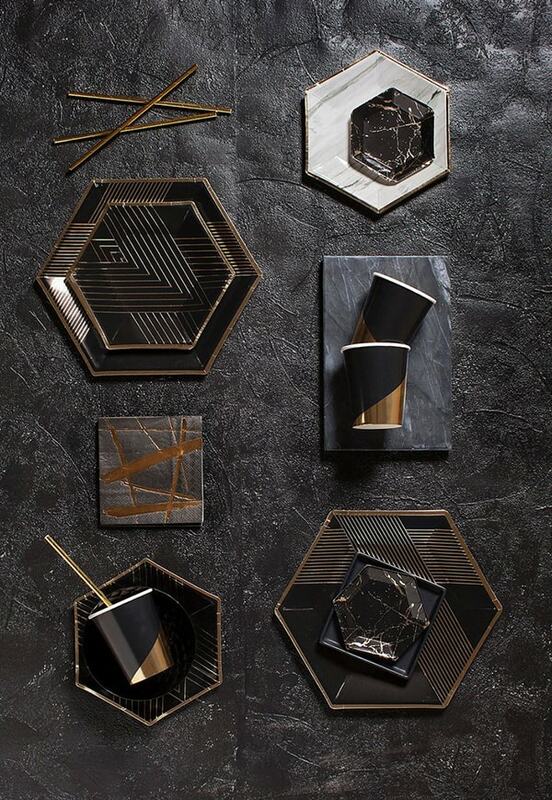 This collection is called Noir and has gleaming gold accents. Another one from Harlow & Grey is their Rebelle collection, which has black and white brush strokes. These make for super easy clean up! 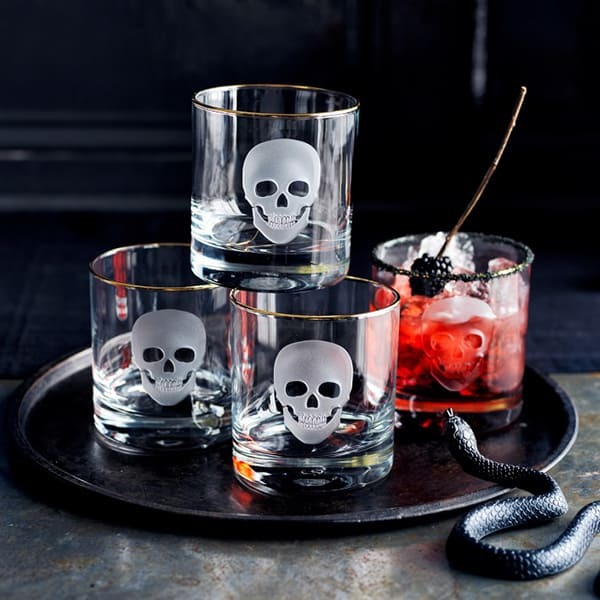 We have these skull lowball glasses and use them the entire month of October! They look good sitting out on a Halloween-themed bar. Serve your favorite Halloween cocktails in these for a little spook! Here are the other Halloween entertaining items we love: A black cocktail shaker, skull decanter, stir sticks and these serving skeleton hands.